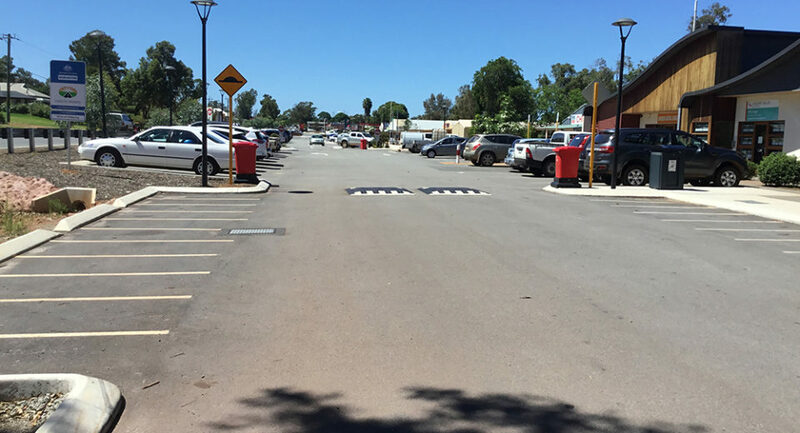 BPA Engineering was tasked with the upgrade and street scape revitalization of Binda Place, Bindoon for the Shire of Chittering. As the main shopping and community hub of the area, the project provided numerous challenges with access maintained to all operating businesses on the street and existing services, as is typical of a brown fields development. BPA were asked to develop the dilapidated road into a service road with safe pedestrian and vehicle interactive whilst improving the streetscape and adding amenity to the local community. BPA Engineering led the design from concept, contract documentation, tendering and contract administration to completion.